This time last week I put up a post for the coming Tuesday night and it ended up being the most successful one of the season. While Saturday’s bets didn’t go to plan missing out on the 11/2 Mixed Multiple by a solitary goal, I’m hoping for another Tuesday treat. Once again, it’s the Champions League and this week there is a full Championship fixture list to pile our pounds into. 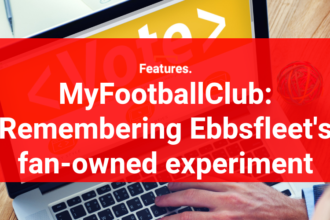 But there aren’t as many League One and League Two games so we’re unlikely to see as many high-scoring matches. That said, last week I put up a BTTS Treble in the Champions League which missed out by one goal, and I’m going back for more this week with the same bet. I’m more confident with this one than I was last week, and instead of 7/2 it’s 5/1 so the returns will be even higher if it can land. 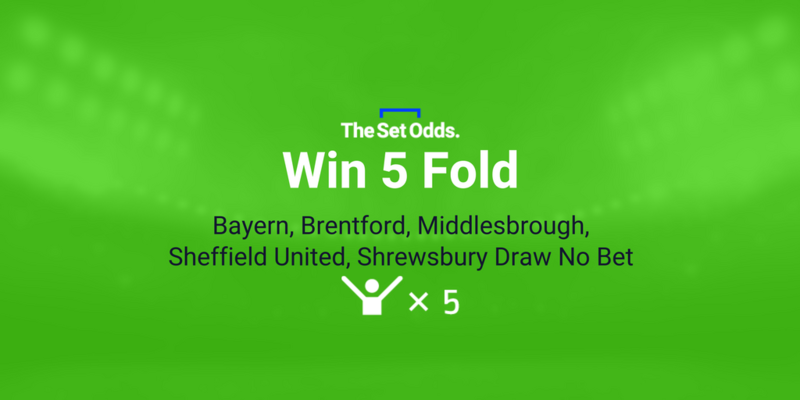 The Win 5fold took a breather last weekend but it’s back for more glory on Tuesday as I look for Bayern Munich, Brentford, Middlesbrough, Sheffield United and Shrewsbury to all win and boost our bank balances in doing so. 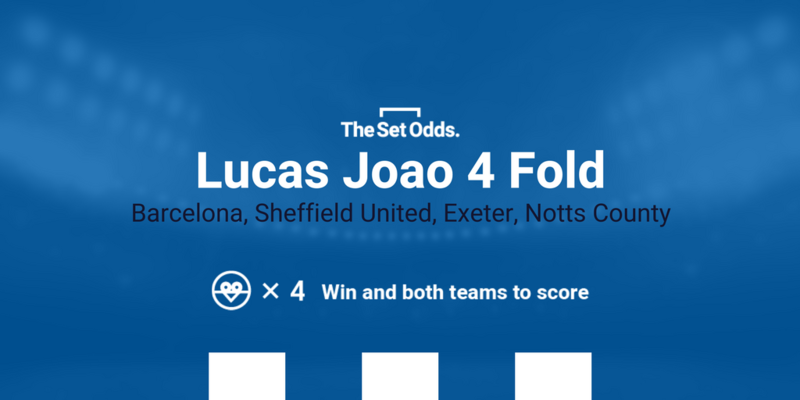 The Lucas Joao odds are 420/1 this Tuesday, just slightly less than last week’s 431/1 winner. If Joao himself nets for Sheffield Wednesday again this midweek then my heart will certainly start pounding. 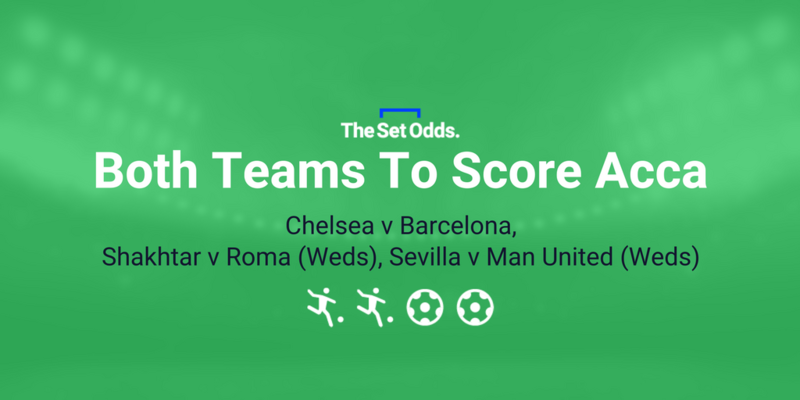 But Barcelona will need to win at Chelsea, Sheffield United at home to QPR, and Exeter and Notts County at Crewe and Cambridge respectively, with each team conceding.